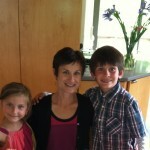 I hope you enjoyed your Mother’s Day. Whether it was celebrating with your kids or your own mom, or both. I’m looking forward to a visit with my own mom and we’ll be celebrating then. However I had a lovely day with my husband and kids. We all stayed up too late the night before. The kids had so much fun with their cousins and babysitters, they were up when we got home from a fundraiser at 11 pm! The good thing was that it meant sleeping in on Mom’s Day. However we all slept in so late, we barely made it to our brunch. 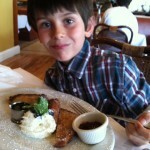 My husband made reservations at Left Bank in Larkspur. 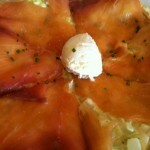 The restaurant is a french bistro with great food and wine. On Mother’s Day they even set up a special table for kids to make cards for their mom and choose a small bouquet of flowers to bring to the table and then take home. This was so sweet. My daughter is a crafty one, so she would’ve been happy there all day. 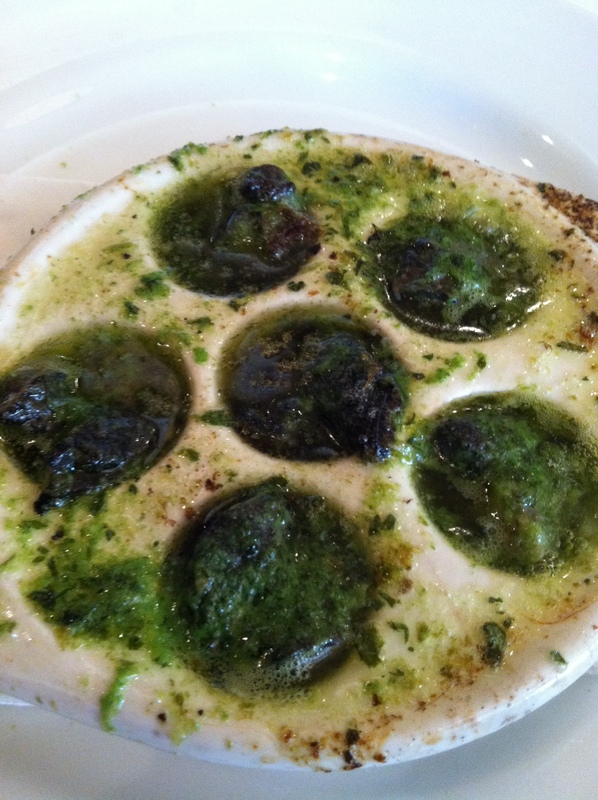 Whenever I go to Left Bank I order escargot. My son ends up eating half of them. 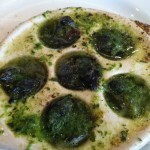 It’s one of the few places that serves them and they are a wonderful, garlicky, buttery treat. 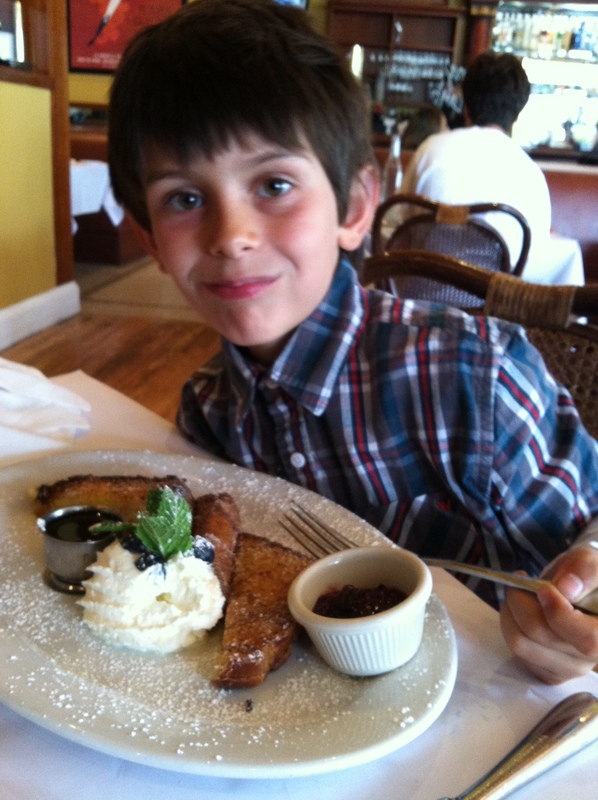 My kids ordered pan perdue, aka french toast on brioche. 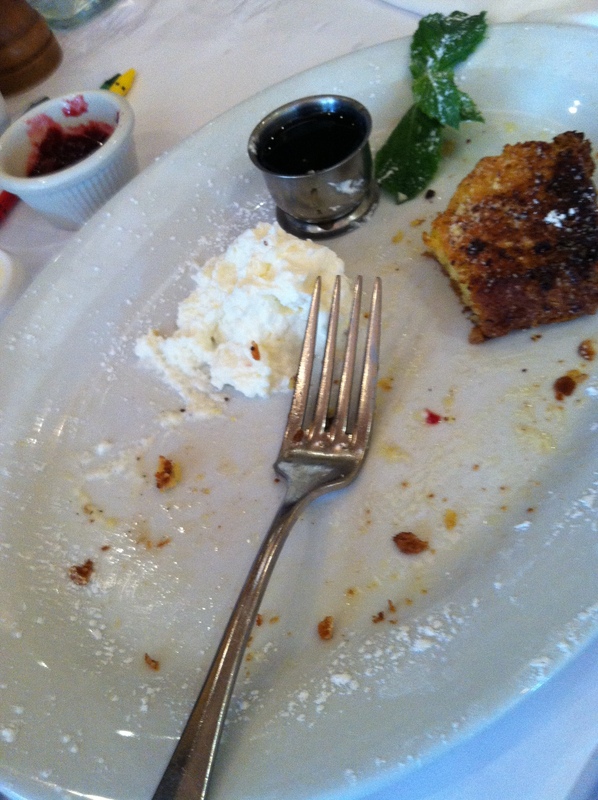 This was yummy but so rich they couldn’t finish it. My son still wanted to show you a before and after. 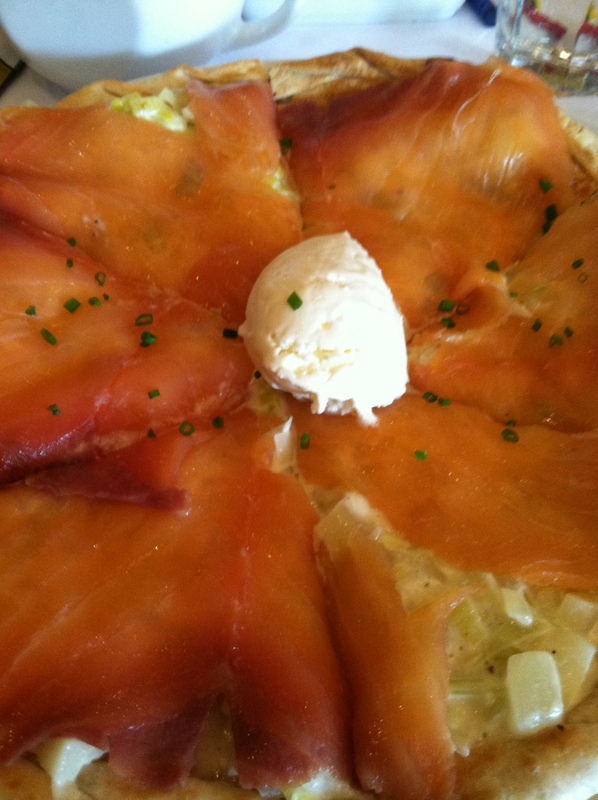 My husband and I both ordered a salmon and leek tart which was very yummy but also rich. 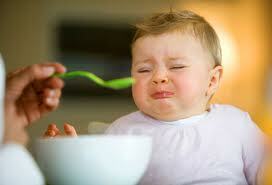 I realized we haven’t had such rich food in a while and maybe didn’t feel so energized after. I explained that this was the reason I always eat oatmeal every morning. I feel better. It was a nice day with family. After brunch we did some shopping, then playing, then napping, then playing some more. What more could a mom ask for? 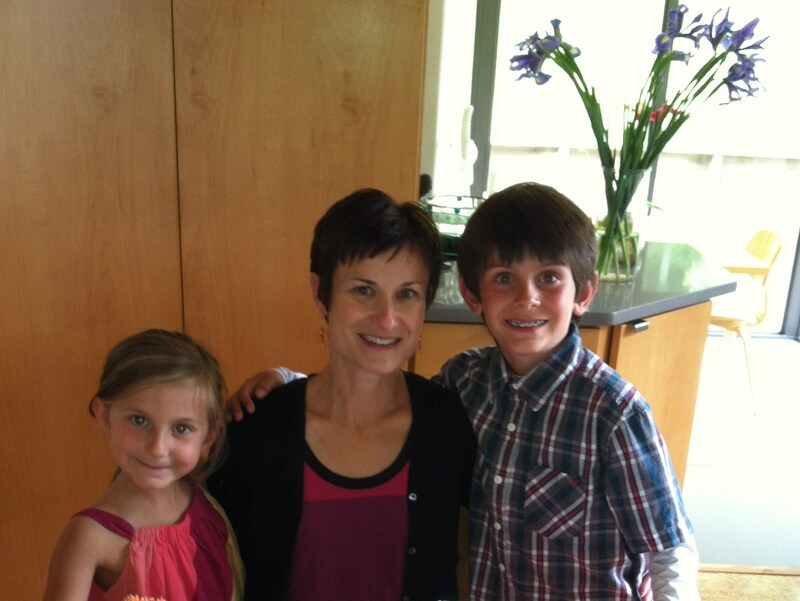 Happy Mother’s Day to you, yours and mine (especially mine). If you’re lucky enough to celebrate with your mom, head to the farmer’s market for some fresh, organic strawberries to dip in chocolate. What mom doesn’t like chocolate? And if you’re the mom being celebrated, pass this hint on to dad and the kids. 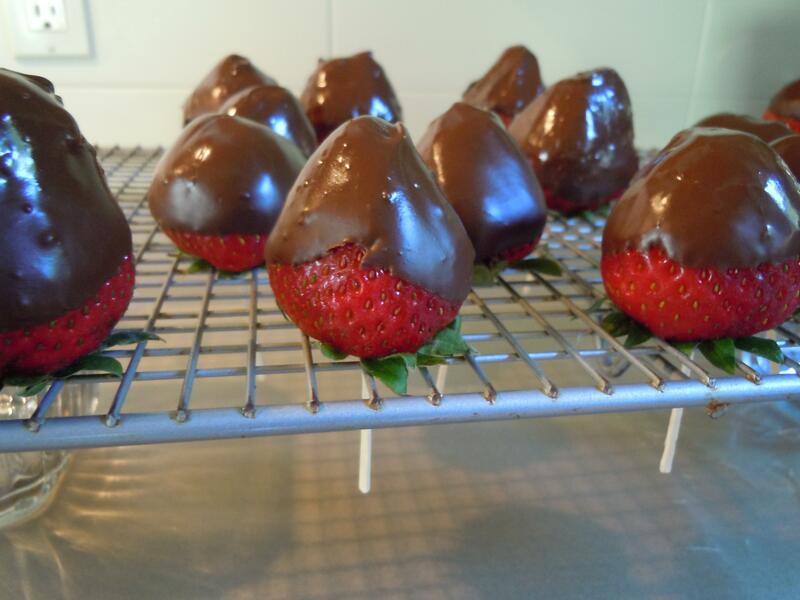 Chocolate strawberries always seem so fancy. You see them in chocolate shops and bakeries during strawberry season. They are actually easy to make and make quite an impression. Unfortunately this is difficult recipe for children to assist, as much is done over a double broiler and water can spit and burn if not careful. Let them help by arranging strawberries on a special platter once chocolate is cooled and hardened. 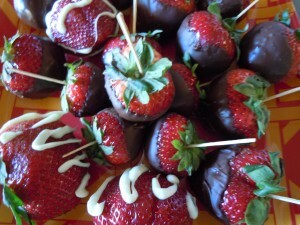 These would look great on a Mother’s Day brunch table and they were recently a big hit at my son’s school potluck too. Place a baking rack over two glasses or pans to allow rack to sit above counter. (Alternatively line a baking sheet with waxed paper). Bring large pot of water to a boil. Turn down to simmer and place chocolate in top of double boiler over boiling water. Be sure water from bottom pot does not boil or spit into chocolate mixture. 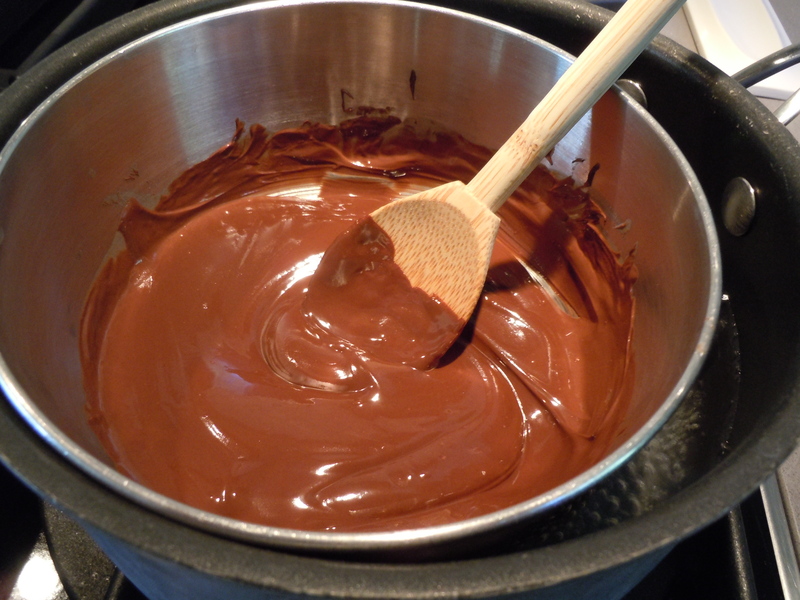 Once chocolate has melted add shortening and stir until combined. Insert toothpick or skewer into top of strawberry and carefully dip and swirl into chocolate. Arrange strawberries on platter and serve. There seems to be three camps of moms on mother’s day…one that likes to celebrate with family, one that likes to celebrate without and one that tries to juggle both. The first like to be surrounded and reminded of their children and their own parents – getting multiple generations together for usually brunch or dinner. Then there are those (usually with young children) who like to take the day off from being a mommy. Many I know do a relaxing spa day alone or with other mom girlfriends and then go to a romantic dinner with their spouses. The ones that like to try to fit everything and everyone in (like their daily life) tell me they’re doing a lunch or spa without children in the morning and then are joined for a family celebration in the evening. If you’re a Dad – ask your wife what she’d prefer. One year I celebrated mother’s day by shopping by and for myself. I thought it would be nice and relaxing but it was so depressing. 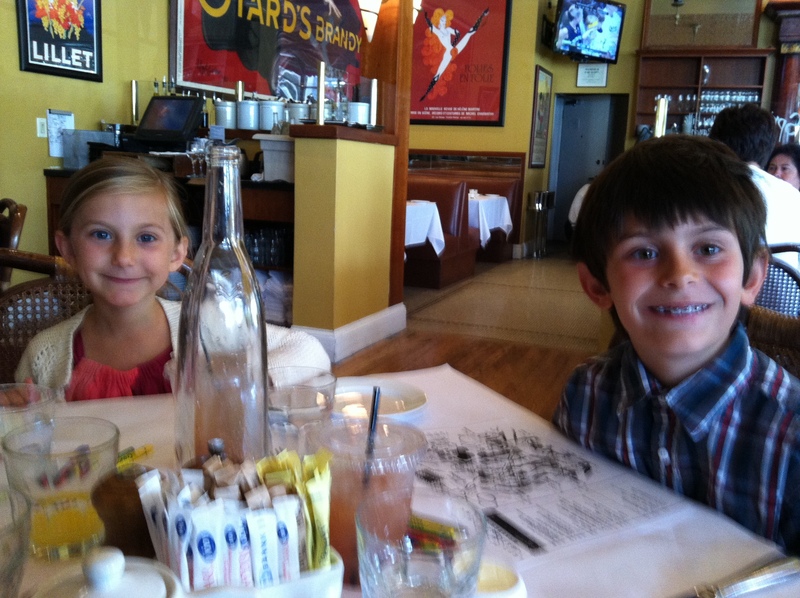 I watched families going into restaurants for brunch and missed my husband and kids (they had a fun day without me!) and also missed my own mom who doesn’t live close by. I came home and said I never wanted to do Mother’s Day alone again. Of course I like the alone time – just give me the day off before or after. Anyways if you’re lucky enough to celebrate with your own mom and family, here’s a lovely and easy fritatta recipe to make at home. 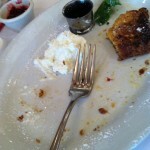 And if you’re in the mood for someone else to make brunch, make reservations fast (OpenTable.com can help). If you live in the Bay Area I would suggest Foreign Cinema. 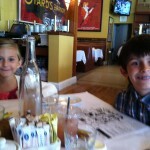 They have a wonderful brunch, excellent mimosas and bellinis for mom, and a great 3 course children’s menu. A frittata is an easy, yet elegant dish, to serve for friends and family – perfect for a Mother’s Day brunch. Adding couscous to the frittata makes it heartier, and gives the eggs a bit of a crust. Cut the frittata into wedges and your children will think it’s an egg pie. Preheat oven to 350°F. 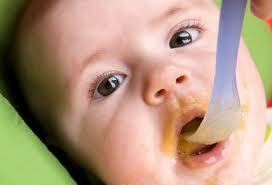 In a small saucepan bring ½ cup water to a boil over medium-high heat. Stir in couscous, remove pan from heat, cover, and let stand 5 minutes. Fluff and separate with fork. 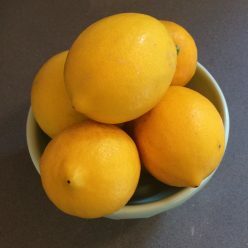 Combine the 1 tablespoon water, salt, pepper, and eggs in a medium bowl and whisk together. Heat oil in a large ovenproof skillet over medium-high heat. Add tomatoes, olives, and onions and sauté until soft, about 3 minutes. Remove pan from heat and stir in couscous and egg mixture. Level mixture with rubber spatula. Sprinkle cheeses over top. Bake in oven for 10 minutes, or until set and cooked through. Let stand 5 minutes. Cut into wedges with knife or pizza cutter.